The Ontario Federation of Snowmobile Clubs (OFSC) celebrates significantly lower emissions for Best Available Technology sleds during February, National Snowmobiling Environment Month. 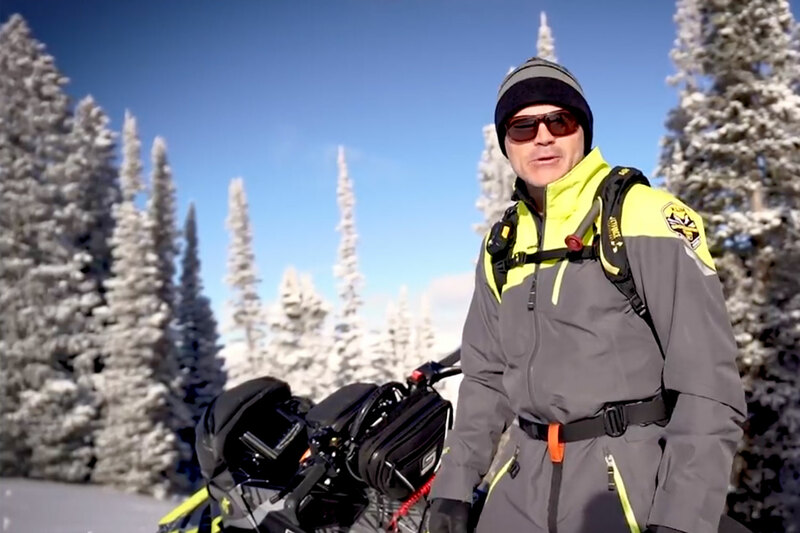 Powered by cleaner-burning, advanced 4-stroke and next generation 2-stroke engines, today's snowmobiles help keep nature beautiful by operating more efficiently, effectively and quietly than ever before, while virtually eliminating smoke and smell. Moreover, increased fuel efficiency means that less fuel is being burned, which also results in overall emissions reduction. Earlier this decade, the U.S. Environmental Protection Agency (EPA) set new standards for lower emissions from many internal combustion engines, including those that power snowmobiles. The new standards were phased in gradually, in 2006 and 2010, with more in 2012. EPA standards for snowmobiles are traditionally mirrored in this country by Transport Canada. Snowmobile manufacturers have ramped up the development and introduction of new snowmobile engines that meet or exceed EPA requirements for 2012. In fact, Best Available Technology snowmobile engines produce at least 90% fewer hydrocarbons and 70% lower carbon monoxide. More reductions will inevitably follow as engines become even cleaner and as more Best Available Technology snowmobiles replace older ones on the snow. Overall, snowmobiles account for only a small fraction of all the motor fuel burned annually in Canada. National Snowmobiling Environment Month is also a celebration of the many stewardship accomplishments of the OFSC and its member clubs. These ongoing initiatives include effective trail planning to protect sensitive habitats and species, to control erosion and to install bridges and culverts that protect rivers and streams, plus activities such as seeding, tree planting, working with government and environment groups, and ongoing education and outreach efforts within the snowmobiling community. In addition to embracing Best Available Technology snowmobiles, the OFSC is using National Snowmobiling Environment Month to remind riders to leave tracks not trash; to maintain sleds at peak operating efficiency; to avoid noisy after market pipes; and to stay on OFSC trails when riding. With $1 from every snowmobile trail permit sale allocated to environmental projects, the OFSC is committed to proactive leadership and support for snowmobiling and snowmobile trails, to conserve, protect and appreciate the environment in a responsible, long-term sustainable way, which enhances the health, enjoyment and prosperity of Ontarians, by working with stakeholders in many ways, including effective planning, education, programs and environmental projects.